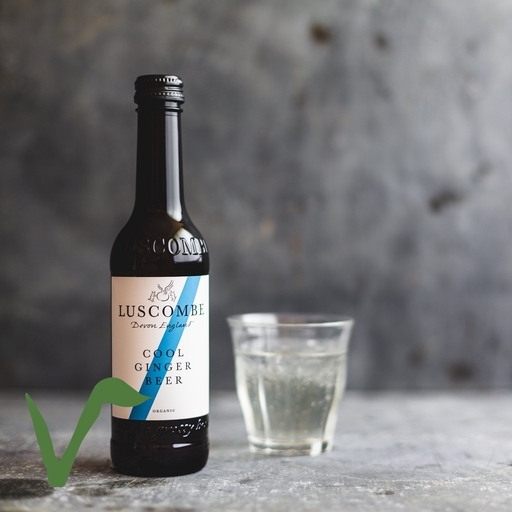 Award-winning organic cool ginger beer from Luscombe, made with fresh root ginger, Sicilian lemons and soft Devon spring water. This traditional drink has a subtle spiced flavour that’s good with fruit cake, dark chocolate biscuits, seafood and light stir fries. Spring water*, raw cane sugar, root ginger (2%), sicilian lemon juice, brewer's yeast, lemon oil, CO2*.